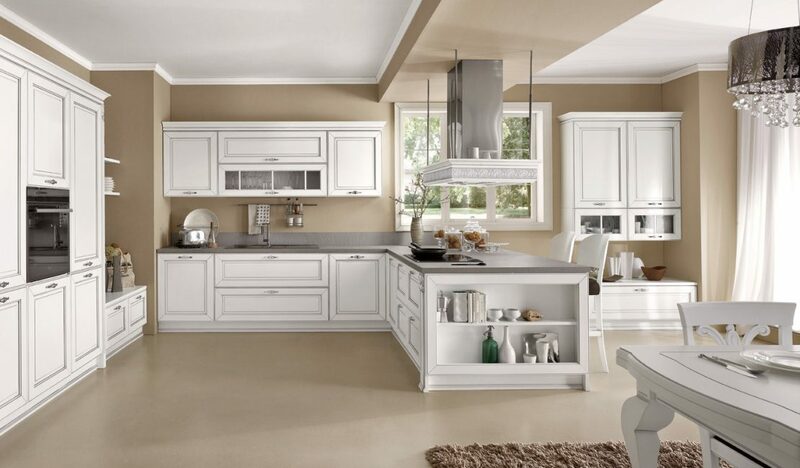 Elegant style and attention to details: this is the key to interpreting the new traditional kitchen model Dolcevita . 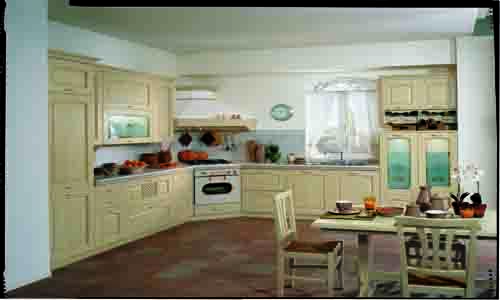 Classic kitchens with doors displaying a carved frame and central panel – varnished or distressed decapè embellished with a silver or gold line. 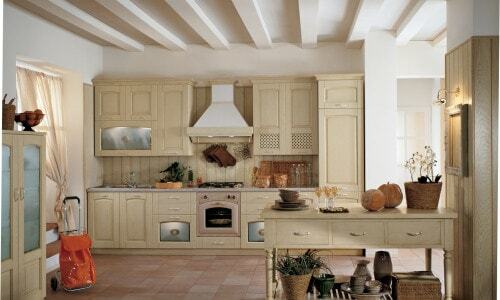 A tangible expression of the good taste that’s inherent to Italian culture. 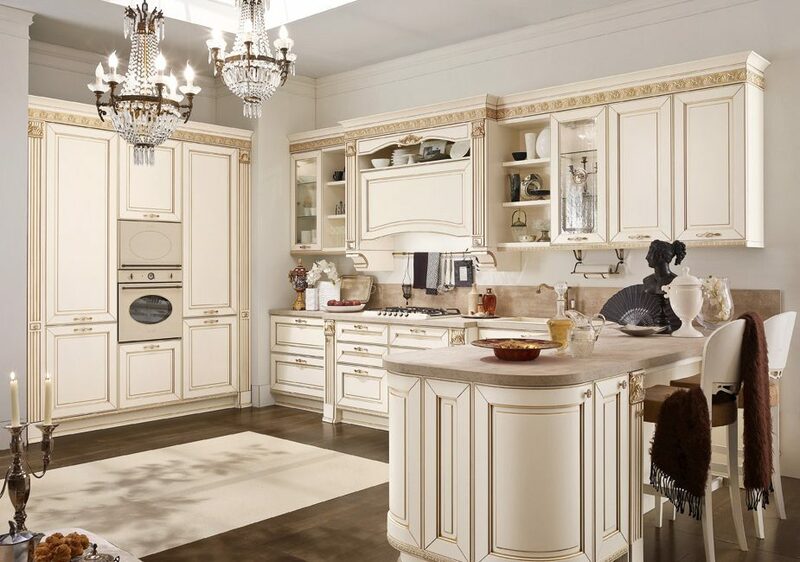 Rich in charm and with an evocative name, Dolcevita is the essence of the style harmony and loving care of a cheerful place where friends and guests feel at home: versatile classic kitchens programme with a definite classic atmosphere, enhanced with all the lure and luxury of real ash wood. 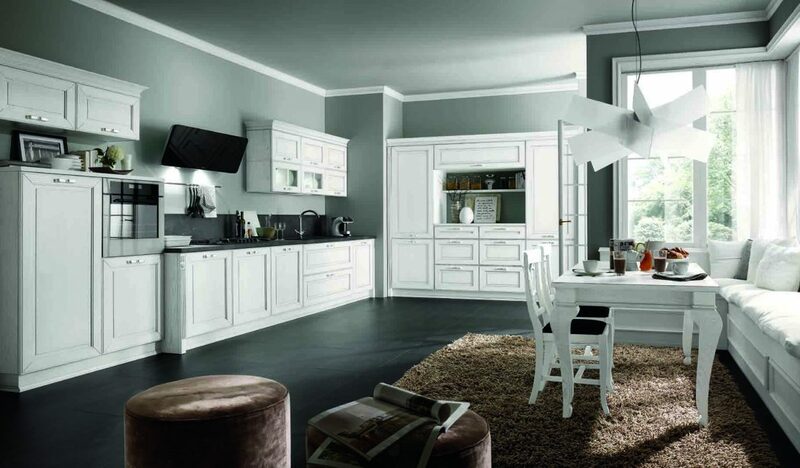 Refinement and attention to details: these reflect the approach of Dolcevita. 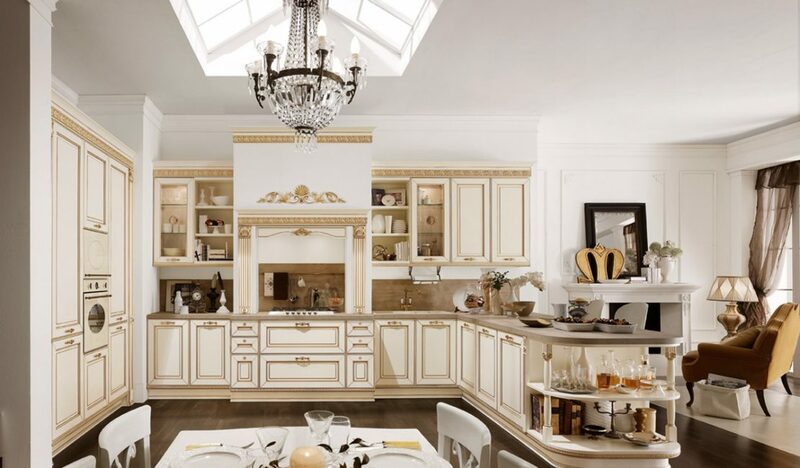 A classic kitchen with an evocative name that expresses its Italian spirit and the charm of a historical period where the Bel Paese was at the centre of the international high society. The delicate white decapè finish is enriched with silver wire elements, with handmade detailed and artistic references that reflect designs with a vaguely baroque style. 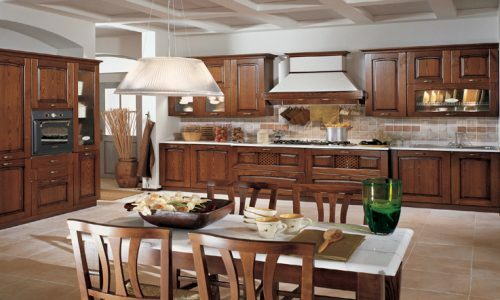 Dolcevita interprets the classic yet versatile kitchen that has a transversal style, with contemporary and modern elements. The island has evolved with the lines of the collection, becoming the central element of the scene, an important presence in the overall composition and is a true must in the proposal. 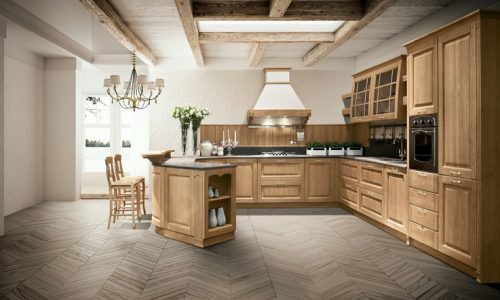 With its details and exclusive lateral capitals with vertical carvings, the island has a series of practical and modern basket containers where nothing is left to chance. 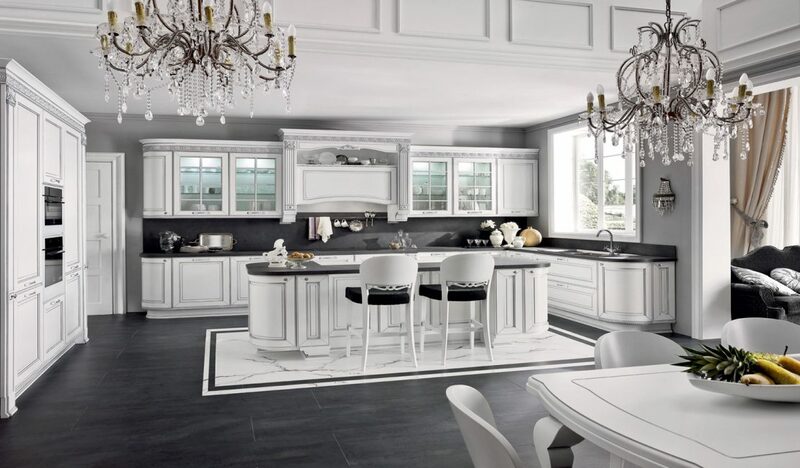 The seductive lines of the Dolcevita collection are softened, leaving space to a new interpretation of the classic forms. 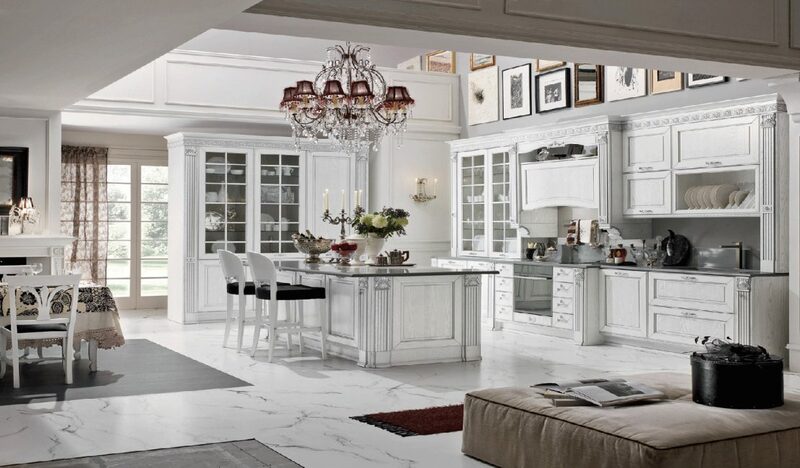 Enchanting and bright, the corner composition with an island provides the ideal setting for a romantic dinner surrounded by the enveloping perfection of the design. 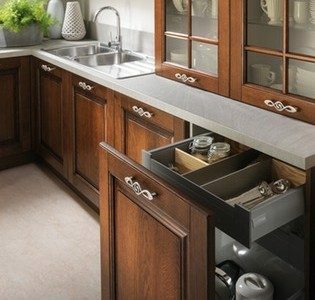 With curved end pieces, the severity in the search for precious references is combined with a mood that is in perfect British style, such as the door with an English frame and water-effect glass. By matching with the sophisticated and completely new black lacquered finish – Silver decapè – the composition fully reveals the glamour of a masterpiece. 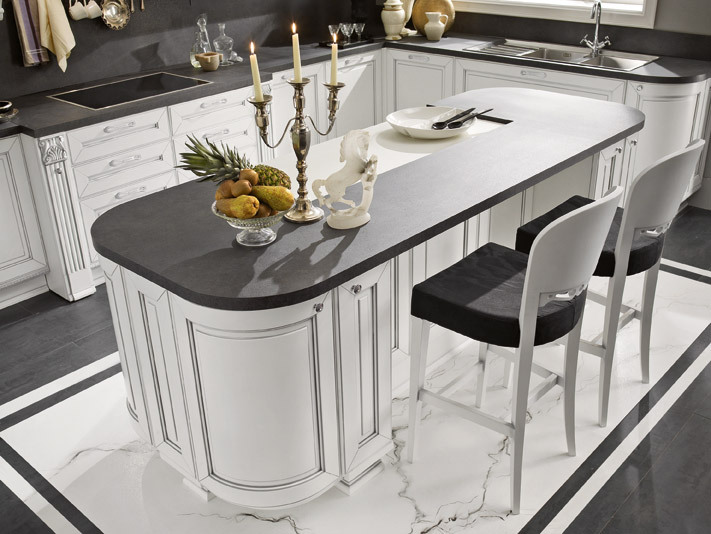 The island reflects glamour and elegance and provides a sensation of luxury made up of meticulous, clever ideas, such as in the use of materials: the charm and solidness of ash combined with valuable Carrara marble and the polished Petit Granit for the tops. The door with the curved frame and central panel winds along the profile of the composition with a new curved geometry. 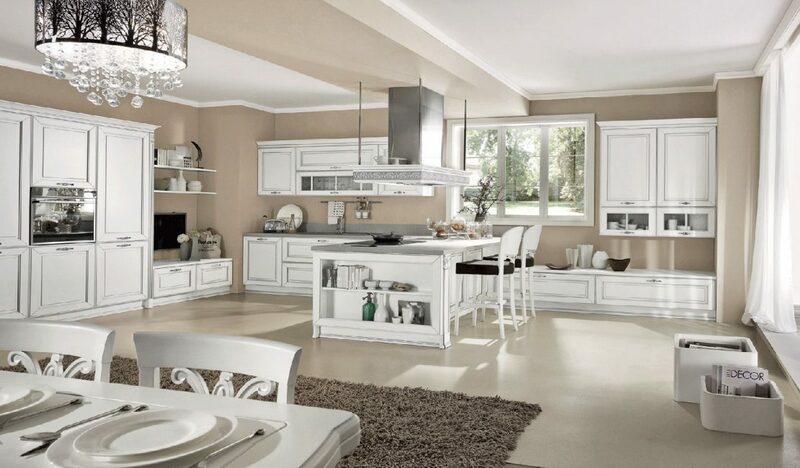 This harmony reflects the atmosphere of the home and the charm of the collection without forgetting about important functional and practical aspects, such as the large rounded end base units.